If Beale Street Could Talk is the latest in a long line of films to unfold in the north Manhattan neighbourhood of Harlem. We take a look at the cinematic treatment of one of the most important cultural hubs of the early 20th century. At the beginning of his third feature film (following Medicine for Melancholy and the Oscar-winning Moonlight) director Barry Jenkins quotes James Baldwin, informing us that every city in America has a Beale Street. In his fifth and penultimate novel, Baldwin immersed us in a love affair that emerges from the long-standing friendship between two friends. Jenkins' film similarly envelops us, both into the blossoming romance – told in flashback – between Tish and Fonny, and in the world they live in, which is both welcoming and ugly – the latter encompassing racism and religious intolerance. Beale Street continues a tradition of films set in Harlem, that since the 1920s has come to be known as the centre of the New York's African American community. (Although, house prices over the last two decades have witnessed a shift in the neighbourhood's demographics; it is now a very different place to the one Baldwin and previous writers described.) The street’s name derives from a Dutch counterpart, and when white settlers first occupied the area in the mid-17th century it was known as Haarlem. The land was shared with the nomadic Lenape tribe. Whatever community existed there by the late-18th century, it had been burned down by British forces during the American Revolution. Then, following the American Civil War in the 1860s, a mainly Jewish and Italian population gradually made way for increasing numbers of Puerto Rican and black communities, the latter expanding as a result of the Jim Crow policies of the South and industrialisation in the northern states that required a larger workforce. In 1910, Harlem was around 10% black. Over the course of 20 years that proportion increased to 70%. And out of it emerged one of the most important cultural hubs of the early 20th century. Two early examples of Harlem life on the screen were the 'race' films Moon Over Harlem and Paradise In Harlem (both 1939). But perhaps a better evocation of Harlem life during this era is the short documentary In the Street (1947). In just 16 minutes, the lyrical film captures life on the neighbourhood's streets. Its authenticity was the result of a confluence of artistic involvement. Two of the directors were Helen Levitt, whose photography of Harlem life remains one of the richest and most compassionate, and the critic James Agee, whose work with photographer Walker Evans covered life in the worst hit areas of the Deep South during the Great Depression of the 1930s, producing the book, Let Us Now Praise Famous Men. As an aside, the book focuses much of its attention on the same area documented by RaMell Ross in his extraordinary, Oscar-nominated Hale County This Morning, This Evening. In The Cool World, Shirley Clarke's 1963 drama, gang life is captured in the same way that John Cassavetes’ Shadows dramatised life for a mixed-race couple lower down in Manhattan, with a sense of energy, urgency and a cinematic style that was tearing up the rulebook set by classical Hollywood. By contrast, Sidney Lumet's adaptation of Edward Lewis Wallant's The Pawnbroker (1964) explored the relationship between a small Jewish community within contemporary Harlem. Although Shaft (1971) is seen as the film that sparked the Blaxploitation genre, it was actor Ossie Davis' 1970 Chester Himes' adaptation Cotton Comes to Harlem that began the trend that would define Harlem life and culture for a generation. Blaxploitation films were set on both sides of the US, but Harlem became a key character within this universe. And Shaft remains the archetype – and one of the better films – of the genre. Gordon Parks Jr, another photographer who captured life during the Great Depression and who would play an important role in defining Harlem life in the post-war era, directed it. 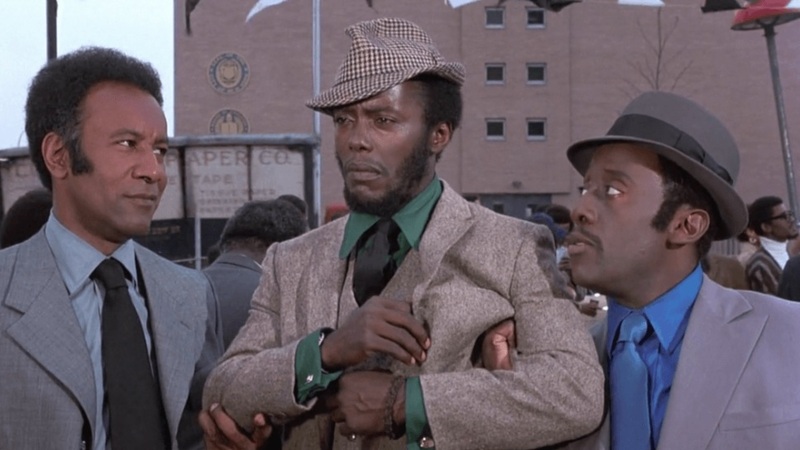 By casting a black character in the lead (Ernest Tidyman's source novel had John Shaft as white) Shaft became a major landmark in the representation of African Americans on the screen. But the film inspired other films that were lazier in how black life was depicted. The genre became so influential – read money-spinning – for a time that it even held sway over the Bond film Live and Let Die (1973), although in that adventure, 'the man' unsurprisingly turns out to be black. Cinematic representations of Harlem's black culture began to shift in the 1980s. There was John Sayles' smart Brother From Another Planet (1984). Francis Ford Coppola's The Cotton Club came out in the same year, but aside of its visual splendour, the film is both dull and undernourished in its scope. A more interesting account of life in the 1920s was presented by Isaac Julien's gorgeous Looking for Langston (1988), a blend of archive and dramatic footage that explored gay life in Langston Hughes' Harlem and was a key early film in the New Queer Cinema movement that exploded in the early 1990s. Likewise, Paris is Burning (1990) is a glorious, celebration of the 1980s ball culture that was attended by the city's African-American, Latino, gay and transgender communities. 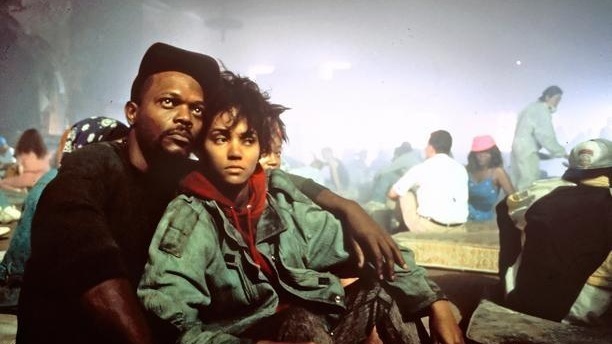 If some of the Harlem-set 'Hood'-related films of the 1990s, ranging from New Jack City (1991) and Juice (1992) to Sugar Hill and Above the Rim (both 1994), featured echoes of Blaxploitation, Spike Lee's Jungle Fever (1991) offered something different. And while Bruce Willis' journey into the neighbourhood at the beginning of Die Hard with a Vengeance (1995) employed a lazy stereotype, The Royal Tenembaums (2001) was symptomatic of the area's 'gentrification'. If Beale Street Could Talk balances the intoxicating beauty of a love affair with the ugly reality of racism faced by African Americans on a daily basis. It may be set in a Harlem that no longer exists in the same way. But its themes remain both exhilaratingly and sadly relevant to today. And like Moonlight it is a film whose sense of place is as vibrant as the action that unfolds within it.